If you’re planning to drive a narrowboat on holiday this season, avoid the pitfalls and get it right, says serial fist shaker, Alex Smith. Why is it that regular people seem to shed their perspective, their personal responsibility and their moral compass the moment they take possession of a rental vehicle? Like holidaymakers bound for anonymous corners of Spain, they abandon tea and cake for Tequilla shots and Jäger Bombs. Modest and sensible types become wide-eyed, frothy-mouthed, hedonistic nut cases – and the transformation doesn’t resolve itself until they return to the routine accountability of the nine-to-five. Be patient and remember the basics, and your canal holiday will be much more relaxing. Now personally, I don’t mind gurning drunkards, naked streakers or fancy-dress pirates but my narrowboat is my house, my work place and the most significant asset I possess, so it gets annoying when I am T-boned for the 20th time by a hapless helmsman who is under the impression that narrowboating is a ‘contact sport’. It causes damage and stress and at some point, it may well result in mitigated homicide – so if you’re planning a week on the canals this year, apply these few elementary techniques and we will all enjoy a much more relaxing time (and see our 10 top tips for enjoying a narrowboat holiday). First up, let’s talk momentum. 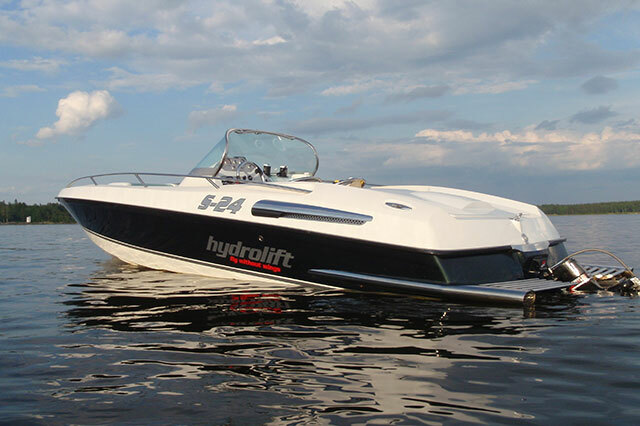 A 20-tonne boat at 3mph (2.6 knots) takes a lot of stopping, particularly with a single propeller. So take it easy, approach bends with care and if you are caused to wash off your pace by means of astern propulsion, be aware that your steerage is likely to become quite wayward. It is often best to use quite short bursts of astern throttle interspersed with the odd forward correction to help retain your line. Remember your back end as you head through narrow gaps. As regards more substantial manoeuvres, the accepted rule of thumb suggests that the pivot point of a narrowboat is near the centre. Of course, this is rarely accurate and can obviously change with the shifting weight of a 12-party crew, plus large tanks for water and sewerage but it remains useful as a rough guide. In practice, it means that as you swing the nose to the left, the aft end will swing to the right to more or less the same degree - so think about your stern, watch your speed and give yourself enough water to make corrections. When you make those corrections, you also need to recognise that a narrowboat is a slow and heavy displacement craft. While its directional tracking underway is very secure, there is often a delay in response to input at the tiller and throttle, so be patient, keep your concentration and plan ahead. The golden rule here is that if you want to stay out of trouble, then keep your point of propulsion (your stern) in deep water with space to move. If you don’t, you can find yourself running out of options, while your bow drifts toward a fragile fibreglass hazard like a 20-tonne lump hammer. 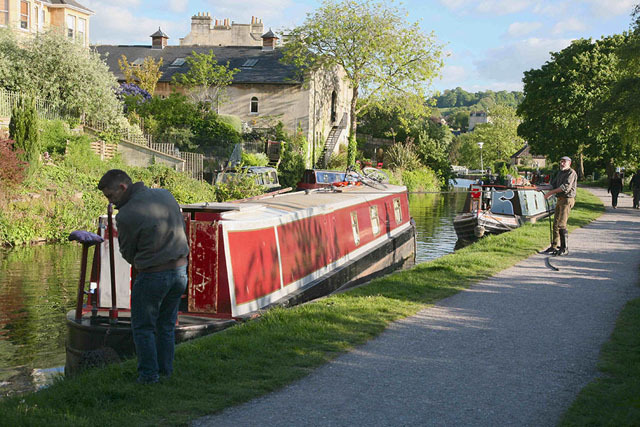 When piloting a narrowboat, line yourself up early and if in doubt, slow down. Now going aground is not uncommon. It usually happens close to canal banks or on the inside of a river bend, where sluggish water enables the sediment to settle. It can feel quite alarming from the helm but it’s nothing to worry about. Simply go astern until you have full flotation, water under the prop and sufficient space to change course and then pick an alternative route. If you’re stuck fast, some pole work from a crewmember (and some gentle weight redistribution) can help shift you off, but rest assured, this is something even the most seasoned boater has to do from time to time. 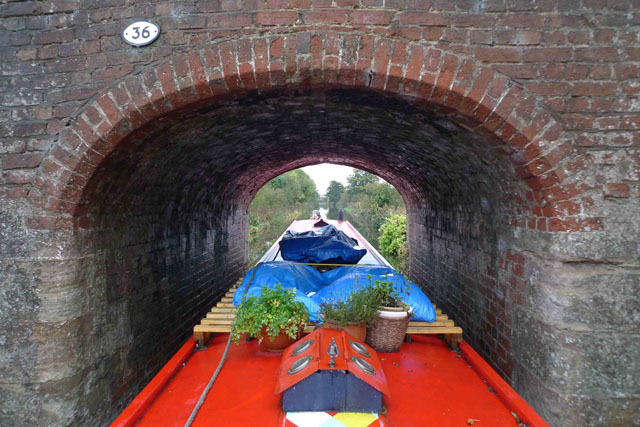 Turning a narrowboat 180 degrees: Don't be afraid of the throttle when using a winding hole. 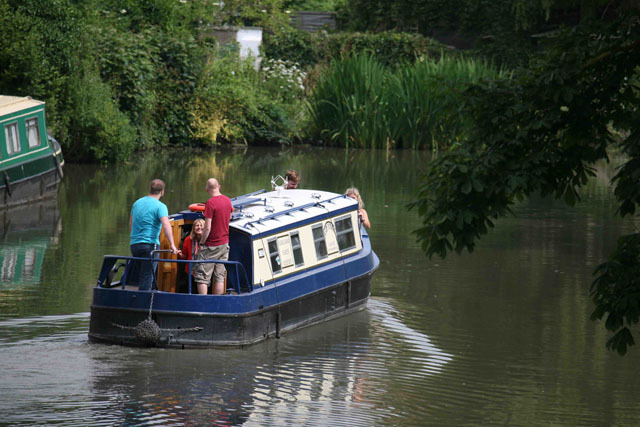 As regards turning the boat through 180 degrees, the canal is equipped with areas where the channel widens sufficiently for narrowboats to rotate. They are called ‘winding holes’ and they are very easy to use. Simply approach slowly, giving yourself enough space. Begin the turn, pointing the nose toward the bank at the centre of the winding hole and then as it gets close, operate astern propulsion to pull it back. Be bold with the throttle, be steady with the tiller and have patience. The momentum of the rotation will already have begun and by means of shifts between forward propulsion (to continue the turn) and astern propulsion (to pull yourself back), there will be no need for anyone to start waving poles around, wringing their hands, leaping off the boat or bursting into tears. 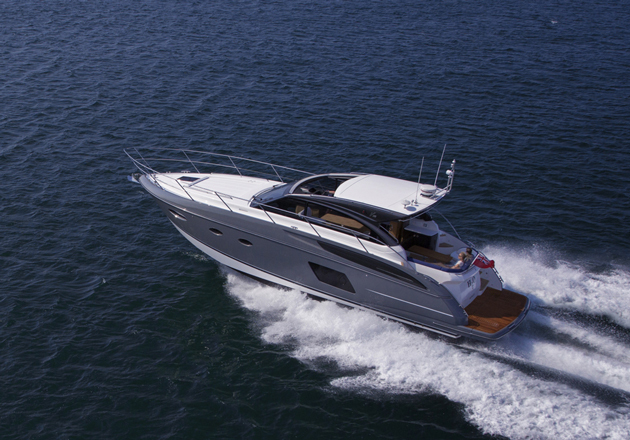 The Nicholson's Guide can make things much easier for the man at the helm. 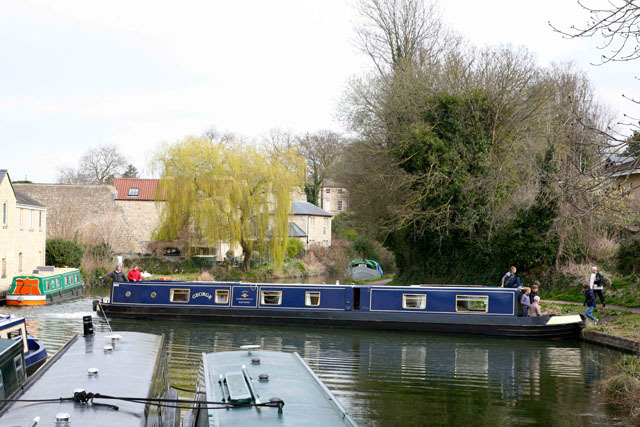 (1) Narrowboating is not a contact sport. That’s just an excuse used by people who don’t know how to drive and don’t care about causing damage. (2) The prop is your means of manoeuvre (not a man on the bow with a stick), so always make a plan that keeps the back end afloat and free of obstruction. 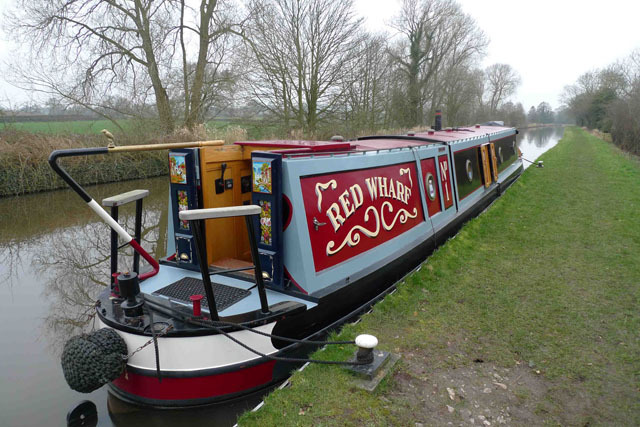 (3) Despite the long shape and heavy displacement, narrowboats don’t enjoy going astern so use forward kicks of throttle to help correct the reversing angle. (4) If the wind is blowing hard, fill the water tank to help settle the bow. (5) Line yourself up for each manoeuvre as early as possible, be patient with the boat’s responses to your input and if in doubt, slow down. (6) When radical alteration of direction is required (as in a winding hole), don’t be afraid of using plenty of sustained throttle. (7) Sounding your horn is not rude. 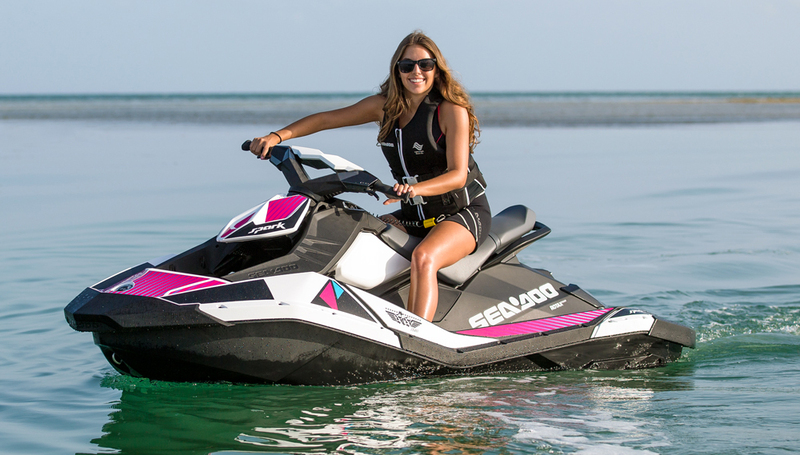 Use it to warn boats of your approach to blind corners and difficult or narrow sections. (8) Wear lifejackets in and around locks, lift bridges and swing bridges and try to tie up well before dark. 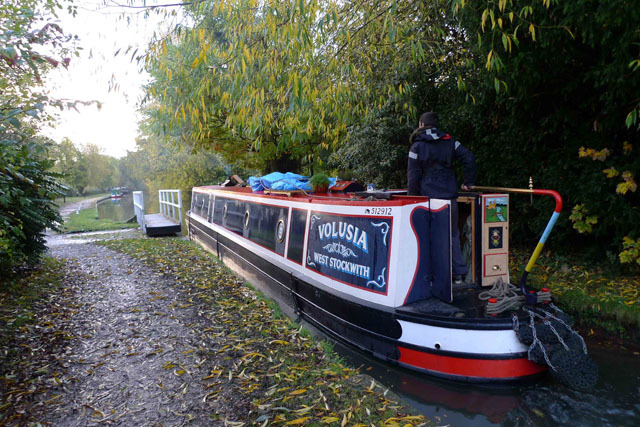 (9) Drinking alcohol is an enjoyable part of canal life – but those in control of the tiller and lines should remain sober during operation of the boat. 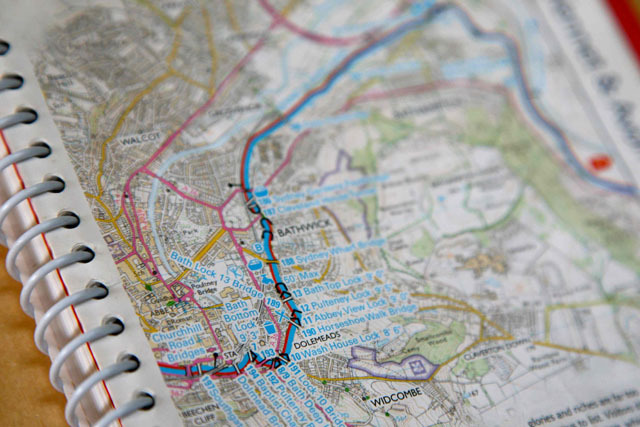 (10) Use the Nicholson’s Canal Guides as a planning tool and you will avoid having to reverse past 20 boats to a missed winding hole or water point. 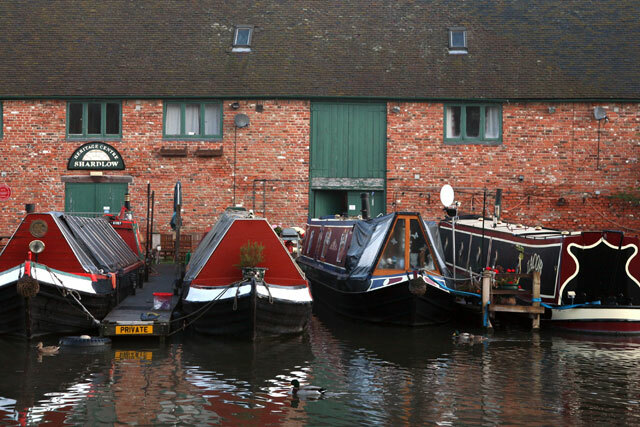 If you're considering an extended tour of the canals on your own boat, see our indispensable guide: Narrowboat or barge? Canal boats explained.